Two kilograms of rocket (salad) seeds are on their way to the International Space Station (ISS) as part of British ESA astronaut Tim Peake’s six-month Principia mission. RHS receiving the seeds from Tozer at the start of their journey. We've teamed up with the Royal Horticultural Society’s Campaign for School Gardening to give half a million UK children the opportunity to take part in a nationwide horticultural ‘citizen science’ experiment and educational project. After several months on board the station, orbiting the planet at 17,000mph, the seeds will be returned to Earth and sent to the participating children, alongside a batch of the same seeds that have stayed on Earth. Over the following months everyone will grow and compare their seeds, to discover whether space travel has had an impact on their growth. 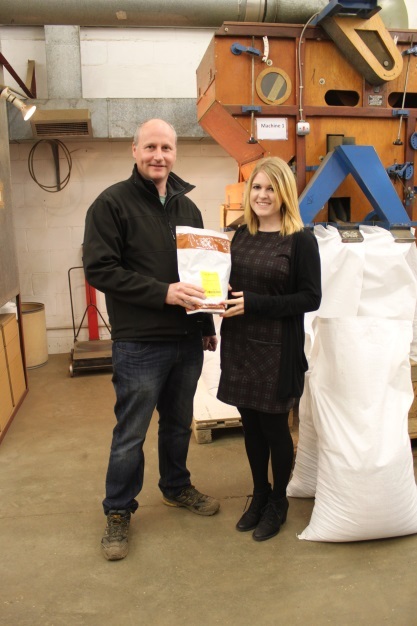 The seeds left their supplier, Tozer, in November 2014. 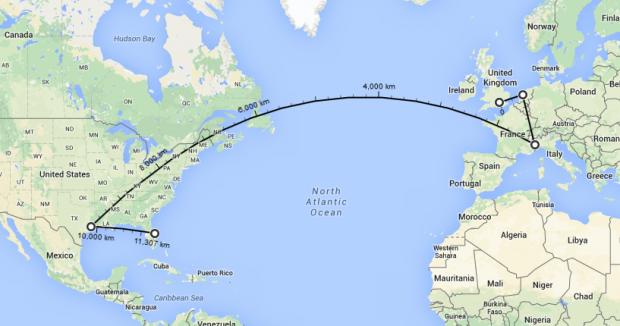 The ISS bound seeds have already travelled over 11,000km (as the crow flies). Their journey began with a trip to the European Space Agency’s (ESA) ESTEC facility in Noordwijk, where they underwent certification ready for their flight to the ISS. We had to trim the corners of the bag, to make sure no sharp edges could accidentally injure the astronauts. The seeds were then packaged inside further bags, to ensure that an accidental puncture would not let the seeds float all over the station. Having passed all the safety certifications, the seeds then journeyed to ALTEC in Turin, Italy, where they were packaged up along with all the other cargo that ESA is launching on the SpaceX-7 flight. The seeds, along with the rest of the cargo, left ALTEC at the end of April and headed to the USA. The seeds made it through US customs and were then shipped to NASA’s Johnson Space Centre, in Houston, Texas, where they joined much of the rest of the SpaceX-7 cargo. Finally, all the cargo from the Johnson Space Centre was delivered to the launch site, at Cape Canaveral in Florida, where it was loaded into the Dragon capsule. 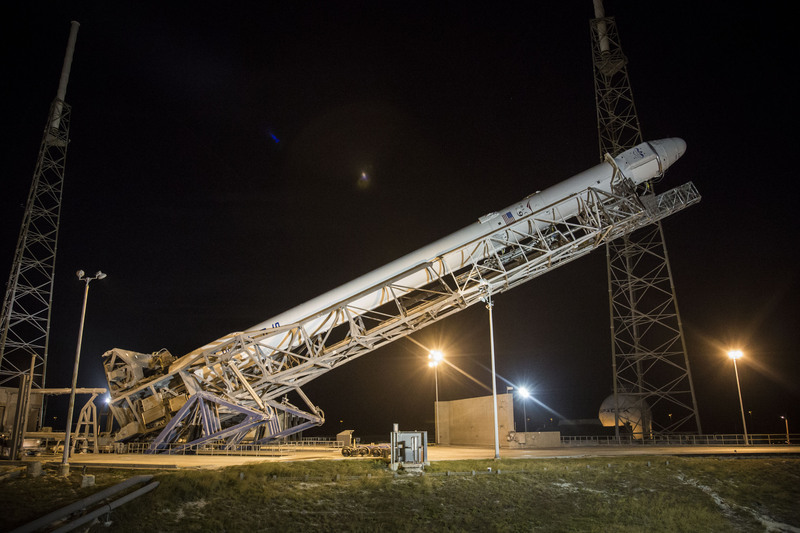 The final stages of getting to orbit are to put the Dragon capsule on top of the Falcon 9 rocket that will take it to space, and to roll the rocket out to the launch pad, happening this week. If all goes well and there are no problems with the rocket or the weather, then the #RocketScience seeds will launch into space on Sunday 28 June. The launch is currently planned for 15:21 BST on Sunday 28 June, and (assuming the launch time doesn’t change) you can watch coverage of the launch via the NASA TV website from 14:00. Once the Dragon capsule gets into space and starts orbiting the Earth, it will take a couple of days to make sure all of its components are working correctly, before firing it’s engines to change orbit and catch up with the ISS. This is planned for Tuesday 30 June, with coverage starting on NASA TV at 10:30 am BST. The Dragon capsule will approach the station in a carefully choreographed space dance called ‘rendezvous’, but unlike the Soyuz spacecraft which the crew fly in, it doesn’t fly all the way to the station and dock. Instead, it will carefully fly to within a few metres of the space station, and then ‘station keep’, flying alongside it. The astronauts inside the space station will control the giant robotic arm, called Canadarm2, and make it reach out and grab, or ‘grapple’, the Dragon capsule. The crew will then move the arm, bringing the Dragon capsule to the ISS, and berth it onto one of the ports on the Harmony module (also known as Node 2), which is at the front of the space station. Once the capsule has been safely attached to the ISS, the crew and the teams in the mission control centres on Earth will make sure that all the systems are functioning as expected. Sometime after berthing, either on the same day or the following, the crew will finally open the hatches between the ISS and the Dragon capsule, giving them access to all the cargo that has arrived. It will take the astronauts many, many hours to unpack all of the precious cargo from the Dragon capsule, but they are always very excited to get started as there will be some exciting deliveries from Earth, possibly including fresh fruit and vegetables and small presents from their families. Mission control prepare a list of all the cargo that has to be unpacked, telling the crew where in the ISS it should be stored. Some cargo, including our Rocket Seeds, will be not needed for some months, and if the ground teams do not keep a very careful record of which stowage locations are used, the astronauts may be looking for weeks to try and find something next time they need it. Sometime in the next few weeks one of the current crew will move the rocket seeds from the Dragon capsule to their new home inside the Columbus module. The seeds will stay there very safely until Tim Peake arrives later this year, when we will check on how they are doing and take some photographs of them in space. Finally, the seeds will need to come back to Earth, and they are planned to return inside the SpaceX-9 Dragon capsule, which is planned to visit the ISS at the end of the year. When they finally come back to Earth, the rocket seeds will have travelled hundreds of million kilometres. Meanwhile, the control sample of 2 kilograms of the same rocket seeds, (which will also be distributed to participants), will have stayed safely in storage at Tozer. To find out if the long journey and time in space has any effect on the seeds ability to grow, take part in the Rocket Science project. Schools, community and educational groups of all ages and abilities will have the chance to apply for a Rocket Science resource pack and take part in the nationwide science experiment from September 2015. You can register your interest and be the first to hear more about the project, including when applications open for resource packs at the RHS CfSG website. Tune in on Sunday to see the rocket seeds leave Earth and start their journey to the ISS! Watch the crew onboard the ISS live here (you might be lucky to catch the unpacking of the capsule). If it still doesn't work, I would suggest you use an alternative web browser.